To combat enamel loss, be aware of habits that may be speeding up damage done to your teeth and try to stop them as soon as possible. These habits included chewing ice or other hard things like pens and pencils, grinding your teeth, clenching your jaw, and playing high impact sports without an athletic mouthguard. If you are prone to unconscious teeth grinding or clenching, ask Dr Donan, your dentist in Fresno CA about being fitted for a mouthguard you can wear while sleeping to protect your teeth. Frequent consumption of highly acidic foods such as fruit juices, citrus fruits, coffee, and soft drinks is also a culprit for enamel erosion as the acids eat away at the protective layer. Try to substitute water for acidic beverages and brush your teeth 30 minutes or so after consuming acidic foods to stop the acids from attacking your teeth before they can start. Since the acids weaken enamel, waiting before brushing is important to avoid causing extra harm. Many people find that as they get older, their mouth tends to dry out, either naturally or due to certain medications they take. Saliva is essential in oral care as it helps to wash away food particles and bacteria. Without this cleansing action, the amount of bacteria-related issues and infections you can get increases exponentially. Saliva also keeps the soft tissues of your mouth, such as your tongue and gums, happy and healthy. When your mouth becomes too dry, these tissues can get very irritated, swollen, and can sometimes get wounds or infections. If you experience dry mouth and suspect it is the side effect of a medication you are taking, speak with your medical practitioner about the issue. If your mouth is dry naturally, make sure to drink water regularly throughout the day and, when you take a drink, try to hold the water in your mouth for a few seconds to help wet the soft tissues before swishing it around a couple of times to rinse away any loose plaque and bacteria. To protect your gums over the years, avoid smoking altogether. 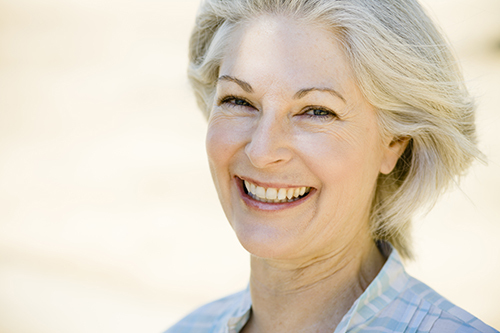 Gum disease can become more prevalent as you age, especially if you have not been carrying out a vigilant teeth cleaning regime. Brushing with fluoridated toothpaste twice each day and flossing at least one a day are considered essential practice to carry on throughout your lifetime in the fight against plaque, tartar, and bacteria buildup that naturally forms in your mouth every day. If left uncleaned, this plaque, tartar, and bacteria can grow to unmanageable levels and lead to infection, tooth decay, and gum disease, all of which require serious care from a dental professional. Leaving gums wounds, inflammation, or bleeding to fester or go unchecked is another way to compromise your oral health. If something doesn’t feel right, always make an appointment for a checkup with Dr Donan, dentist in Fresno CA. For more oral tips, take contact with Dr Donan, dentist in Fresno CA.